The implementation of a data handling platform, whether it is a centralized reporting system, Business Analytics, Operational Intelligence, or single point of truth for your company, will improve the way you make data-driven decisions. A data handling platform that is designed to fit your company’s unique needs can address all of the above and even tick off a few wants on your list as well. Here we will discuss the top five data handling concerns. Let’s say you are trying to put together a quarterly report, and you need the sales numbers, latest inventory, marketing research, HR updates and IT statistics. That means you need to track down five different departments, and then consolidate the information⎼that is inevitably in different formats⎼into one report. All of this work is expended to put together a snapshot of what your company looked like a month ago, not today. With a data handling platform, you can have all of those disparate data sets updating to a central location in real-time. 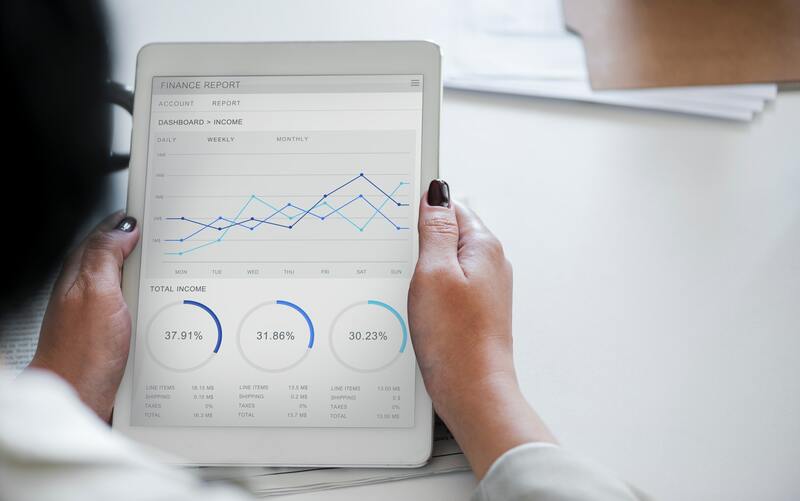 Quarterly reports are then a breeze, and in addition, you can also monitor any of this information in one location, in real-time. These central locations are referred to as dashboards. By bringing data from separate sources together, the information becomes more informative. For instance, IT information about when a person (tracked by his/her IP address) first came to your website and then when he/she first made a purchase becomes more useful when it is combined with the knowledge of the marketing campaigns that coincided with those events. Similarly, external information can be automatically imported into your platform to enhance decision making. As an example, if your company sells umbrellas, you could get an alert that informs you when it will be raining in a particular location, prompting efforts for increased marketing or sales force in that area. Census, lifestyle and other publicly or privately available information can also be included in the platform. 3. LICENSING FEES: IS THERE A WAY OUT? Some companies offer proprietary software that is designed for handling big data, but these software packages don’t come cheap. Mid-size companies can find themselves paying $500,000 or more a year just to license the software. This doesn’t include implementation, training and maintenance. The silver lining is that there are a variety of open source tools available to the public that are free of licensing fees. 4. ONE SIZE FITS ALL…NONE? I often see clients who are frustrated with their data handling system because it wasn’t made for them. They perhaps felt obligated to choose from what might be the best of the available ready-made options, instead of designing one specifically for their company’s unique needs. With a custom solution, companies get the perfect platform for their unique needs. Additionally, custom alerting systems can be put in place to notify you if predetermined thresholds are met, e.g. increase/decrease in website traffic or increase/decrease in sales. If your company already has a system in place, then you might be aware of your data caps. This is the limit of how much data can be processed in a day. Problems arise when there is a surge of information in the system, e.g. on Black Friday for e-commerce websites, and the data cap is exceeded. In this case, any information that exceeded the cap will be unavailable to you until you pay the licensing company a fee. This is not only expensive but is also often frustrating and limiting for a company. A site reliability audit can be performed and custom solution built to prevent these kinds of losses. With a little effort up front, you can improve your company’s relationship with its data to monitor information in real-time, receive alerts when anomalies occur, and save money by using open source tools.